Personal: Belton has one sister, Natalie. Her stepfather, Mark Rosen, played football and baseball at Stanford and then for the Boston Red Sox minor league teams. 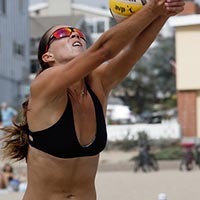 Belton was a two-year member of the USA U19 Beach Volleyball National Team.